Princess Cruises has revealed the line’s newly enhanced beverage menus, featuring globally inspired signature cocktail offerings created by master mixologist Rob Floyd. As one of the most significant beverage changes in the history of the company, destination-specific ingredients have been carefully selected to tantalize guests’ taste buds with flavors from every corner of the world. In addition to the new cocktails, the line has added 20 new high-end and exotic spirits, 39 new wines by the glass, and 17 new international and craft beers to the new menu. 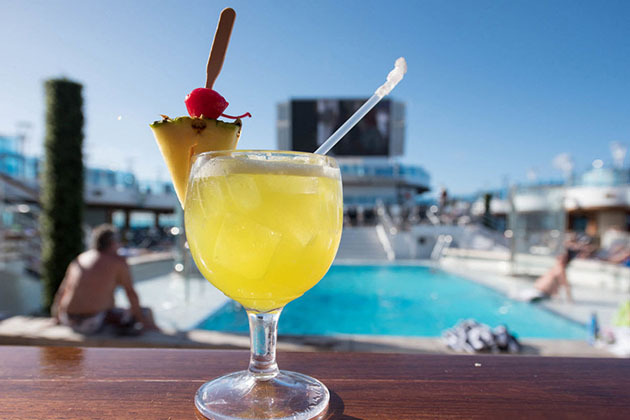 To whet guests whistleseven more, Princess Cruises also unveiled this summer a thirst-quenching deal with the Sip and Sail promotion, offering complimentary beverages for balcony, mini-suite and suite bookings. More information about the Sip and Sail offer is available at princess.com/cruisedeals. All prices are per person based on double occupancy. The Sip and Sail cruise deal runs through 11:59 p.m. PDT on September 5, 2018 and is available to residents of United States, Canada, Puerto Rico, Mexico and Bermuda who are 21 years of age or older. Αναρτήθηκε από geop στις 8:14 π.μ.